This construction firm saves 1,500 man hours per year with iAuditor. NA Group is a civil construction company out of Australia specializing in infrastructure who use iAuditor to report on project progress, conduct toolbox talks, and monitor safety on site. NA employees generally work at night on road maintenance, when traffic is quieter, but this also leads to lower visibility. Joshua Philpott, NA Group Safety Officer, says there is the constant threat of danger on a roadworks site. The workers always need to be aware of their surroundings and have extra precautions in place. NA barricades the work zone, pays close attention to traffic control, and uses radio communication for reversing traffic. There are a lot of aspects that go into a safe work site, and it’s difficult to keep them all in mind each day, which is where iAuditor helps. NA Group Director, Nick Argyropoulos, has always believed in the importance of safety, highlighted by the company’s win in the 2012 WorkCover NSW SafeWork Awards for best workplace health and safety practices in a small business. NA Group can perform audits on mobile devices in the field. Before NA Group implemented iAuditor, they performed inspections on paper. Reports had to be written up, filed, scanned, and sent off to the client. All of these procedures meant extra work and extra time. NA Group decided to implement iAuditor across all their jobsites. “The client never used to get that paperwork the following day, it would probably be the day after by the time we put together all the reports and actually emailed it across, whereas now by 10 am, it’s in their inbox ready to go,” Nick says. The iAuditor rollout was a success, which, according to HSE Manager Peter Giannos, was made quick thanks to how easy the app is to use. “A lot of people in NA Group are not particularly tech savvy. iAuditor has been very user friendly and we’ve managed to get even our older staff and less tech savvy staff using it quite easily. It hasn’t been a chore at all to get them trained up,” Peter says. NA Group now run their entire job site on iAuditor. They are able to document all their processes including taking a photo then and there on their device. This improved level of organization allows NA Group to get through their work quicker and get the roads open earlier. This is especially important when we consider how expensive a late road opening can be for the firm. “We’re likely to incur thousands of dollars for every five minute increment that we’re late off the road,” Nick says. "iAuditor has made us a lot more organized. Using half the effort we used to put into paper, we’ve now become 100 times more organized." Level 10 uses iAuditor to manage safety and quality control. 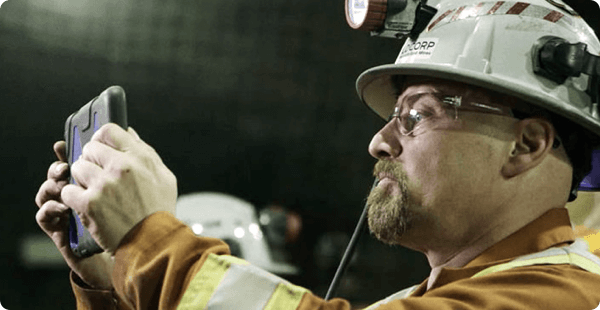 Goldcorp increased auditing frequency by 8 times thanks to iAuditor. E Light Electric tracks safety compliance and quality assurance with iAuditor. See for yourself why 250,000+ customers from 80 countries trust iAuditor to improve Safety and Quality in their business.